Deep learning reconstruction (DLR) is a new reconstruction method; it introduces deep convolutional neural networks into the reconstruction flow. This study was conducted in order to examine the clinical applicability of abdominal ultra-high-resolution CT (U-HRCT) exams reconstructed with a new DLR in comparison to hybrid and model-based iterative reconstruction (hybrid-IR, MBIR). Our retrospective study included 46 patients seen between December 2017 and April 2018. A radiologist recorded the standard deviation of attenuation in the paraspinal muscle as the image noise and calculated the contrast-to-noise ratio (CNR) for the aorta, portal vein, and liver. The overall image quality was assessed by two other radiologists and graded on a 5-point confidence scale ranging from 1 (unacceptable) to 5 (excellent). The difference between CT images subjected to hybrid-IR, MBIR, and DLR was compared. The image noise was significantly lower and the CNR was significantly higher on DLR than hybrid-IR and MBIR images (p < 0.01). DLR images received the highest and MBIR images the lowest scores for overall image quality. DLR improved the quality of abdominal U-HRCT images. • The potential degradation due to increased noise may prevent implementation of ultra-high-resolution CT in the abdomen. • Image noise and overall image quality for hepatic ultra-high-resolution CT images improved with deep learning reconstruction as compared to hybrid- and model-based iterative reconstruction. The online version of this article ( https://doi.org/10.1007/s00330-019-06170-3) contains supplementary material, which is available to authorized users. Dr. Kazuo Awai received a research funding from Canon Medical Systems Co. Ltd. The scientific guarantor of this publication is Dr. Kazuo Awai. The authors of this manuscript declare relationships with the following companies: Canon Medical Systems Co. Ltd. for Kazuo Awai and Naruomi Akino and Canon Medical Research USA for Jian Zhou and Zhou Yu. Naruomi Akino, Jian Zhou, and Zhou Yu contributed to this study for manuscript editing regarding the description of deep learning reconstruction (DLR) algorithm. The authors who are not employees of Canon Medical Systems had control of inclusion of any data and information that might present a conflict of interest for those authors who are employees of Canon Medical Systems. The other authors declare that they have no conflict of interest. 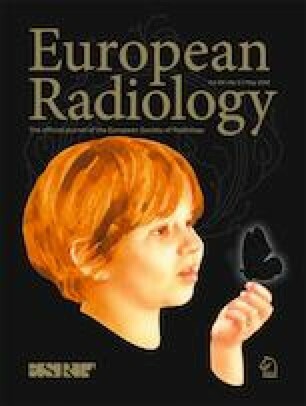 Written informed consent was not required for this study because this study used existing CT images including raw data.